The Santa Fe Community College Glass Club sale on Wednesday and Thursday, May 2 and 3. From 10 a.m. to 4 p.m. each day in the main hallway on campus, 6401 Richards Ave. 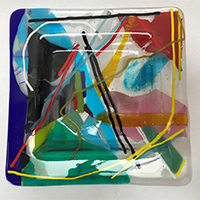 The Glass Club is comprised of SFCC student artists who create work in a variety of methods, from fusing and slumping to casting, using creative contemporary methods. 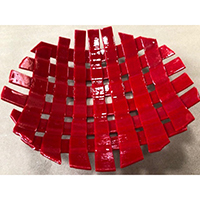 Vibrant colors and luminescent glass, whimsical sculptures and functional glassware. For further information contact Ellen Premack, epremack@gmail.com.